WASHINGTON—Despite dramatically improving academic achievement and performance in America’s urban areas, public charter schools have had difficulty expanding into the country’s more affluent suburban communities. A new report released today by the Progressive Policy Institute (PPI) investigates why. 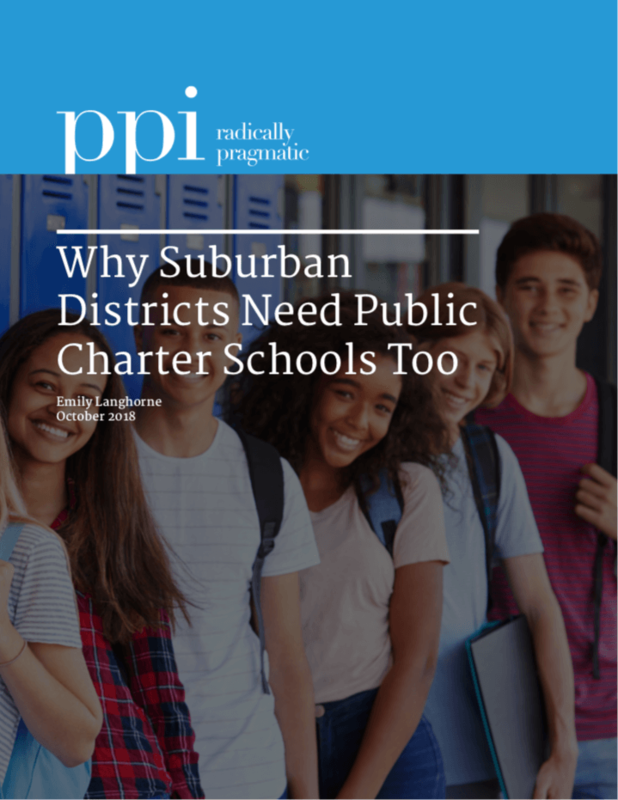 Authored by PPI education analyst Emily Langhorne, the report analyzes the performance of existing suburban charter schools, explores how charter schools can benefit suburban students, and highlights why charter schools are struggling to expand into the suburbs. “The spread of charter schools in suburban areas can create tremendous opportunities for families dissatisfied with the traditional neighborhood schools, whose children might do better in a system that offered a variety of educational models, specialized curriculum, and personalized learning,” writes Langhorne. However, three major factors are preventing schools like these from expanding into suburban areas, according to the report. These include: political barriers erected in states by teachers unions, who feel as though charters are in direct competition with local school districts; the overestimation of local public schools by suburbanites, despite evidence that suburban students are falling behind on international tests when compared to their socio-economic peers in other countries; and widespread charter school myths, misconceptions, and misinformation. For charter schools to take root in suburban areas, Langhorne argues, the narrative around them needs to change from one centered on creating options for low-income families to one that emphasizes creating innovative schools for all kids.